Shropshire Caravan Rally Field opening in May 2018. 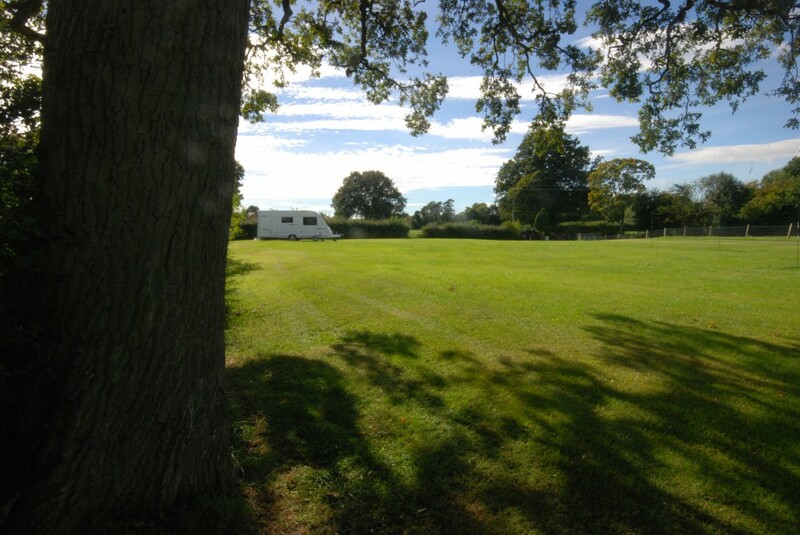 Our new rally field allows the easy siting of around 20 caravans in two rows of 10 with panoramic views across several counties and is sheltered by a hedge to the South. It is a grassed area and therefore only available in drier months. 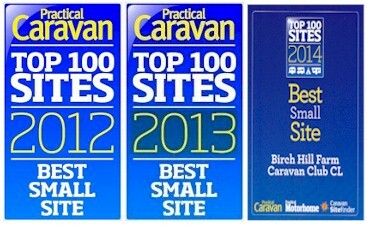 Although our Caravan & Motorhome Club CL has been running for over 35 years, a rally field at Birch Hill is a new venture for us, however you may rest assured that we have a good track record in looking after our guests, having won the Caravan Club ‘CL of the Year’ national award and been voted ‘Best Small Site’ in the UK on three separate occasions. The rally field will be totally separate from the CL – out of sight, on the other side of our farmhouse. We have gone through an extensive programme of draining, levelling and re-seeding the field to be used for rallies. We are in the process of installing a separate chemical disposal point and mains water supply. To allow the ground to settle and grass to re-grow, we plan to delay opening until late May 2018. We are now taking advance bookings from rally organisers: please ring us on 01691 622951. Ellesmere is well-provided with shops, pubs and parking and hosts many popular events each year. Here are some planned events during the drier months when the rally field will be open. We are about a mile from Ellesmere and there is a footpath with street lighting along the main road (note that this footpath can be narrow in places). The following list is taken from the official 2018 Ellesmere calendar. Please check with event organisers to confirm dates – we have provided links where possible. Full details of 2018 events are not all public and some of these links might relate to previous years, but are shown to give you an idea of what to expect. Level 100m x 20m rally field with far reaching views over rolling green hills.